Marjan hill is the first symbol of the town of Split. The nature formed its northern slopes mostly from limestone, while it southern slopes are mostly formed of rock, soil and rocky shore. From its eastern border toward it western point of St. Jure, it stretches for 3,5 kilometers and it is 1.5 km wide. Its three peaks, three unique vintage points rise 125, 148 and 178 meters above the sea level, and they offer an unforgettable view of the city of Split, nearby islands and the whole of Kastela Riviera including Solin and Trogir. 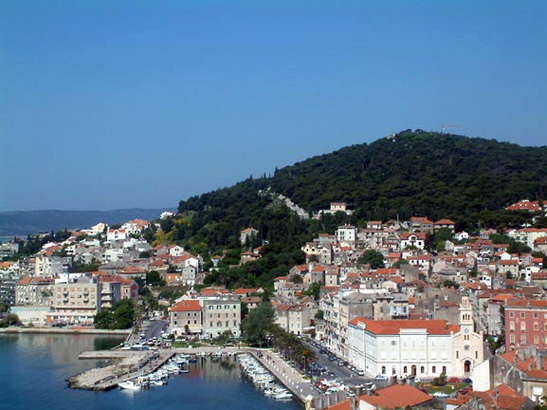 The people of Split started the forestation of Marjan 1852, with the planting of the first pine trees. In 1903, society “Marjan” was founded which today takes care of this nature preserve. Thanks to its forward thinking inhabitants from the 19th century, Split has its so-called “lungs of the city”. All the visitors to Marjan can enjoy its peace and quiet, recreation and entertainment, numerous small churches, hermit refuges and natural and jogging paths. A modest zoo is great fun for children. The name of the hill is first recorder in the will of the local abbot Peter from the 8th century, as Marulianus. The historians later called it Serra, Seranda, Murnanus, Kyrieleyson, Mernjan etc. 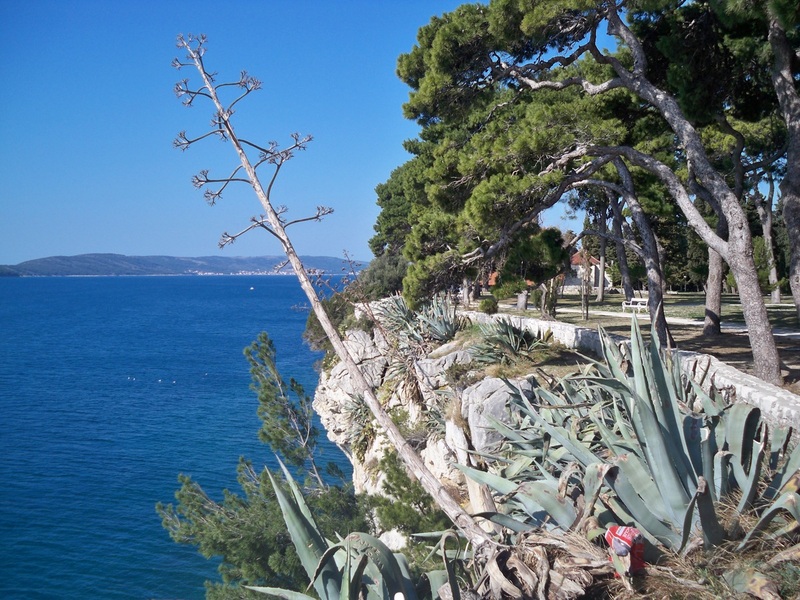 Southwestern point of the Split harbor is called Sustipan after the old monastery of St. Stjepan under the pines. The monastery was built in the late Middle Ages, and several Croatian kings occasionally enjoyed in its hospitality. In the early 20th century a local cemetery was set here. Unfortunately it was destroyed by the Communist government and reconstructed as promenade set in concrete. Especially appealing is the gloriet – round colonnade of classicist form that remains preserved until present day. Hidden among the tall pines is a beautiful vista of the sea and the islands in front of Split. From the western side of the hill there is a the oldest local swimming club Jadran, and from its eastern side a modern ACI marina.